WASHINGTON -- A so-called 'Hamburglar' is on the loose. Police in Washington D.C. say that a man followed a deliveryman into a Five Guys in the early morning hours. 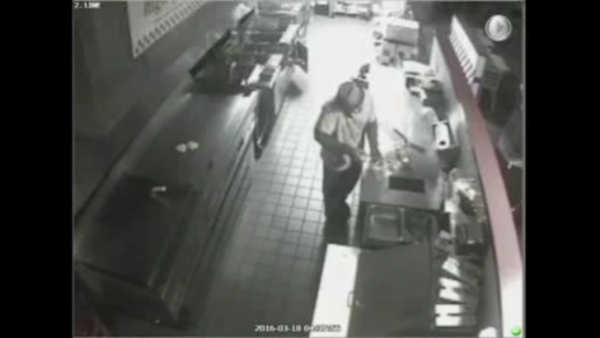 The man waited until the place was empty, then he cooked himself two cheeseburgers and treated himself to a drink while he chatted on the phone. The man also left with some bottled water. Police say it does not see that cash or anything else was missing.